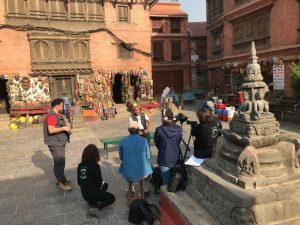 Icorp On the Road First Episode; ’Reconnecting the Sacred Valley Kathmandu’ trailer is on air. 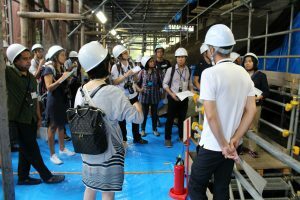 The 13th International Training Course will give special focus on the Integrated Protection of Immovable and Movable Cultural Heritage from Disasters. 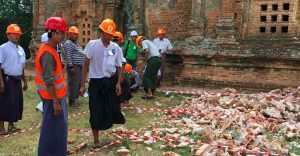 Cultural heritage is increasingly exposed to disasters caused by natural and human-induced hazards such as earthquakes, floods, fires, typhoons, theft, terrorism etc. An integrated approach for movable and immovable heritage is needed for risk assessment of heritage sites as well as museums and its collections before, during and after a disaster situation. 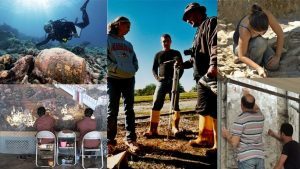 Limited availability of human and financial resources also calls for closer coordination between professionals and institutions dealing with heritage sites, museums and the external agencies. After disasters information concerning the state of cultural heritage is essential. To share the information of cultural heritage conservation and coordinate protection efforts, CIPA, ICORP and ISCARSAH will hold a joint meeting during 2017 ICOMOS General Assembly in New Delhi, India. We look forward to your kind support. On 14 November, 2017 the 39th session of the UNESCO General Conference adopted an Addendum to its Strategy for the Reinforcement of the UNESCO’s action for the Protection of Culture and the Promotion of Cultural Pluralism in the Event of Armed Conflict, concerning emergencies associated with disasters caused by natural and human-induced hazards. In January 2017, ICOMOS was awarded a generous grant of 80 000 € by the Getty Foundation for our General Assembly taking place this December in Delhi. This international gathering is one of the most important in the heritage conservation field and under our policy of non-political involvement and non-discrimination, the meeting is open to all. Recently, the Getty Foundation suddenly informed ICOMOS that for unforeseen reasons related to compliance with U.S. sanctions regulations, and through no fault whatsoever of ICOMOS, it would have to revoke the grant because of the participation at the General Assembly of one of our members, a young Syrian architect, teaching part-time at a Syrian state-funded university. The 2017 Protecting the Past conference will take place between Saturday 2 – Monday 4 December in Tunis, Tunisia. It is organised by EAMENA in collaboration with the Arab League Educational, Cultural and Scientific Organisation (ALECSO), Global Heritage Fund (GHF), and ICCROM-ATHAR Regional Conservation Centre. This event brings together international, regional, and local experts to explore the challenges facing the cultural heritage in Tunisia and Libya, and beyond in the MENA region. The conference will follow a four-week training event organised by EAMENA and funded by the British Council’s Cultural Protection Fund for 20 heritage professionals and students from Libya and Tunisia. This year, the 19th ICOMOS General Assembly and Scientific Symposium will take place in Delhi on the invitation of ICOMOS India from 11-15 December 2017 (General Assembly and Scientific Symposium) with Pre-Meetings held 8-10 December and Post-Meetings and Events from 16-17 December. 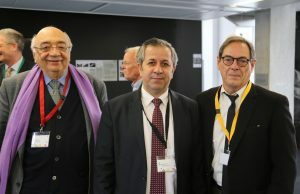 ICOMOS joins the cultural heritage conservation community in praising the exemplary work led by Professor Maamoun Abdulkarim during his tenure, which he concludes today, as Director General of Antiquities and Museums in Syria.